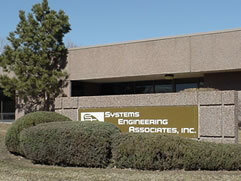 Systems Engineering Associates, Inc. specializes in providing machine control solutions for the two-piece metal container beverage and food industries including can lines and fill lines. Complete control solutions including engineering, panel fabrication, as well as worldwide start-up assistance and training are available. Systems Electronics Group, Inc., a division of Systems Engineering, manufactures a complete line of high performance Programmable Logic Controllers (PLC) and Programmable Limit Switches (PLS) designed specifically for high speed machine control. Our 12,000 sq. 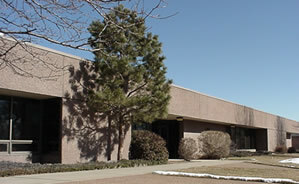 ft. engineering and electronics manufacturing facility located at 14989 W. 69th Ave. in Arvada, Colorado. This facility houses our automated electronics assembly, machine shop, engineering, and general administration office space. Our 20,000 sq. 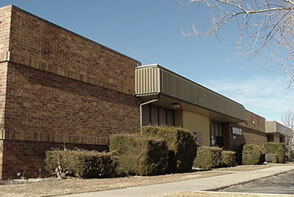 ft. manufacturing facility located at 6893 Joyce St. also in Arvada, Colorado. This facility incorporates sheet metal fabrication, paint booth, and general electro/mechanical assembly. Between the two, "Systems" either has the solution or can develop the solution for your control system needs from supplying high performance controllers, upgrade packages, complete control systems including engineering, start-up assistance, and customer training. Contact us today for more information.